I have a new layout up over on the Paper Issues blog today! You all know I love old photos, and especially love scrapping old photos, so here's one of me on Christmas morning, 1970. These are the only pics I have from Christmas that year, and wanted them to be the focus of my layout. 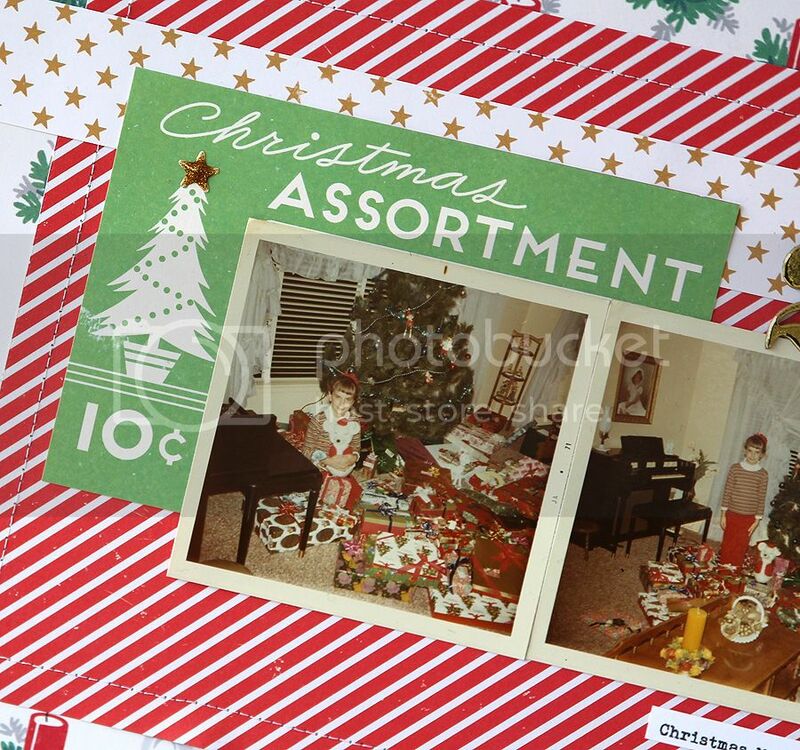 I layered three different patterned papers on top of my cardstock, ending with the "Christmas Assortment" piece, that reminded me of of packaging from the '70's. I topped off the tree with a gold Pop Drop star enamel sticker, and finished the layout with a bit of machine stitching, the cute delivery sticker, and Thickers for the date. 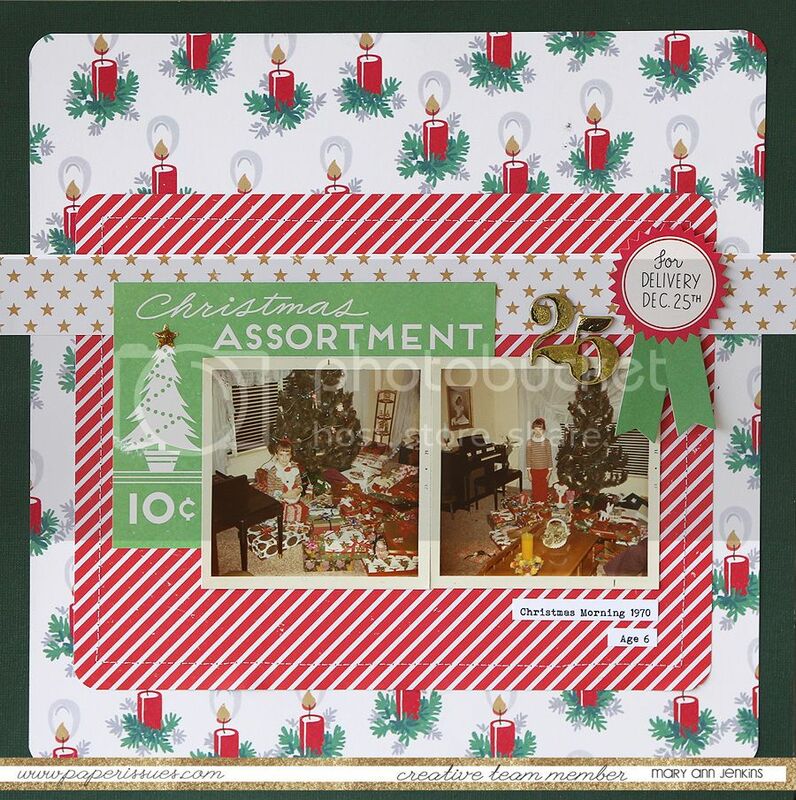 Be sure to stop by the Paper Issues store and check out the holiday papers and embellishments, and while you're there, use code: Mary Ann for 20% off your order! !